Spine is similar to pillars of a building. It’s the backbone on which all the parts of a human body rely. If there were no pillars, the building couldn’t be constructed. Similarly, if there was no spinal cord there wouldn’t have been balance in the body. A person wouldn’t be able to move, bend, twist, work, sit or sleep. It directly affects the mobility of a human body. It’s scary to even imagine a body without spinal cord. In the medical terminology, it is known as vertebral column. In general language it’s also known as a backbone. 1. Pain while sitting up straight. 2. Pain when you bend for picking up things. 3. Pain when you twist your body to get something on the left or right side. 4. Pain when moving your neck. Chirayu Hospital is one of the reputed and branded names across India for Spine Surgery. It is located in Ahmedabad City of Gujarat State in India. Apart from above issues, there are various other reasons why a vertebral column is very important for a human body compared to other parts of body. The nervous system runs electrical impulses throughout the vertebral column to areas where more sensation is felt. If your spinal cord is damaged, several parts of your body will stop feeling sensation. However, if such situation is observed in your body; then without panicking simply visit the Spine Surgery Surgeon or Doctor. There are several surgical and non-surgical treatments and/or methods that could solve all your problems related to vertebral column. But always remember to get in touch only with an experienced specialist. Only visit the clinic of a doctor or surgeon, who has tremendous knowledge, experience, achievements and successful records of treated patients. Never hurry to any clinic, especially when it’s a problem related to your spine. The experts of Chirayu Hospital not only provide you with consultation, but also guide you with various treatment methods that fall within your budget range. 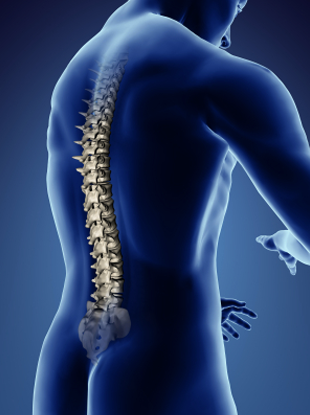 The spinal problems can be treated in various different cost-effective ways which includes both; surgical methods and non-surgical methods. Some hospitals may directly refer you for surgery with an intention to earn more. We at Chirayu do not believe in all these unethical ways of money making. Our intention is to truly and honestly help the patients relieve their pain. That’s one of the largest reasons why our hospital is always busy filled with lot of patients suffering from spine related problems. If you are also suffering from one or more of the above problems, then visit our Ahmedabad City Premises located in Gujarat State of India.